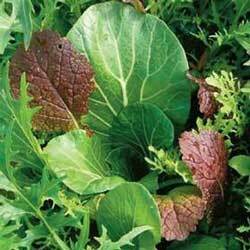 Now is a great time to be getting started with your summer supply of tasty salad leaves. There is nothing better than having a a nice selection all ready to eat when you need them. So for a continuous supply of salads all summer long here is how to get started. 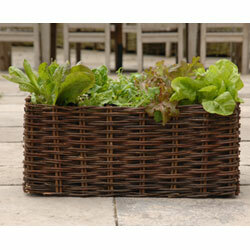 Take a look at the Salubrious Salad Bed, the Willow Salad Planter or the Raised Bed Single Starter Kit as these are perfect for the job. These containers can be located on grass, flags or tarmac and are ideal for putting just outside the kitchen door. Take a look at these lovely, Tasty Salad Seed Selections. The seeds can be sown every couple of weeks over the spring and summer months to give a continuous supply of fresh, tasty salads whenever you want them. 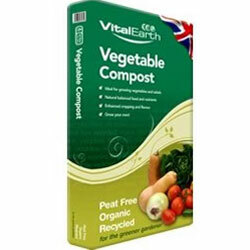 To give your salad crops the best possible start take a look at the Vital Earth Vegetable Compost. Found to be the BEST by WHICH, a panel of experts proved this to be the best peat-free growing media and better than all composting media (including peat-based types) in the UK. Fill your container three quarters full with compost. Sow your seed selection and water well. As the seeds begin to grow and the plants establish thin out and harvest the larger leaves. As the weather warms there should be enough salads to harvest every few days. Re-sow every two or three weeks for a continuous supply through the summer.